It is only half way through the 24th for me, but it is already Towel Day in the Far East. This is the 14th Towel Day! Link your Towel Day 2014 pictures here. If you are not sure how, see the Towel Day Picture FAQs thread. Happy Towel Day in my time-zone! Just getting the day started. 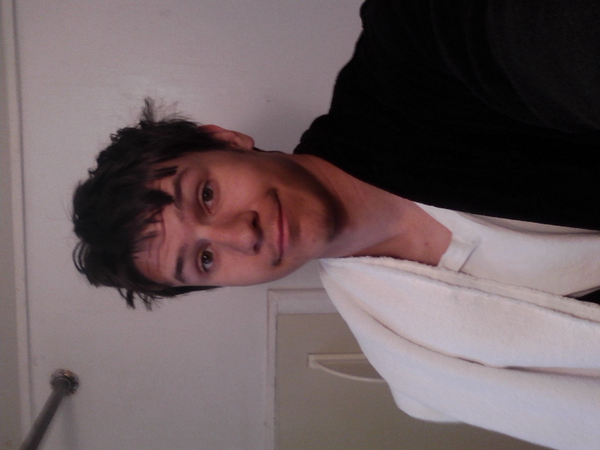 Went out this morning to get some donuts in my bathrobe and towel. Saw someone else there with a towel getting donuts as well! Gave him a high five and checked out. Our visitors from out of state joined in the festivities - except for the little girl up front. She refused and was later thrown out of the airlock. I've cleaned him up and given him a nice home where he'll have lots of towel playmates. There are a couple more pictures on my sister's camera, I think. I might post them later. That towel looks like it is in pretty good shape to me. I have quite a few towels that look far worse that are still in active service.